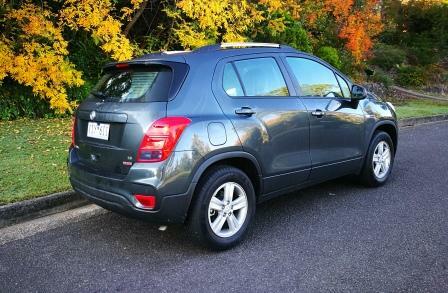 Car Review: 2017 Holden Trax LS | | A Wheel Thing. 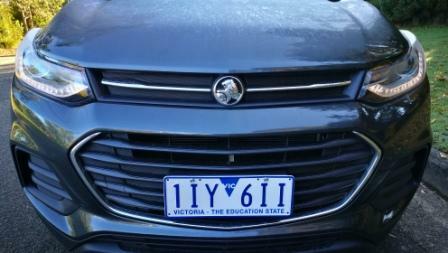 Holden has a history of importing small cars for SUV style duties. 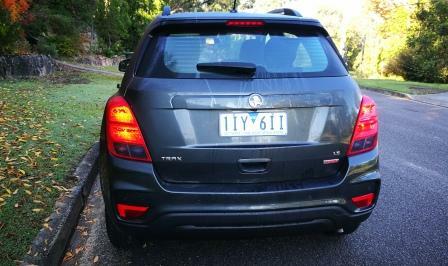 Suzuki gave us the Drover, Isuzu the Jackeroo and a jacked up Barina became the Trax. A refresh to the car has been performed, with noticeable changes inside and out. The 2017 Holden Trax LS spends a week in the urban jungle. 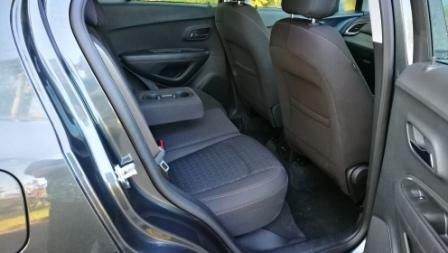 Up front is the 1.4L turbo four that once resided in the Cruze. In that car, even with an auto, it was lively, peppy, zippy. Not so in the LS auto. 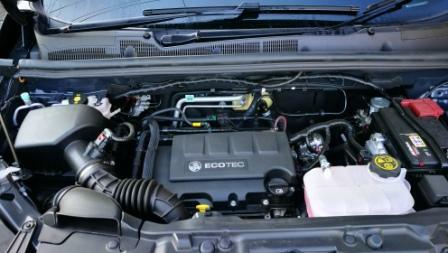 Holden have released the LS with the 1.8L engine and manual or the turbo four and auto only. Even with 200 torques at 1850 rpm it’s pulling close to 1400 kilos and felt as if the gear ratios were holding the little SUV back. When punched hard and under way, the performance characteristics did change…having said that, the auto had an unusual and odd whine, one not out of place in a manual transmission that wasn’t calibrated correctly. The turbo four drinks 95 RON as its preferred tipple and will do so at 6.9L per 100 km (quoted,combined) from a tank weighing in at 53 litres. That’s pretty much on the money in the week A Wheel Thing had the petite LS Trax however that’s the combined figure. Given this kind of car will be in short distance, stop start, style of travel, figure on something closer to 8.0L/100 km. 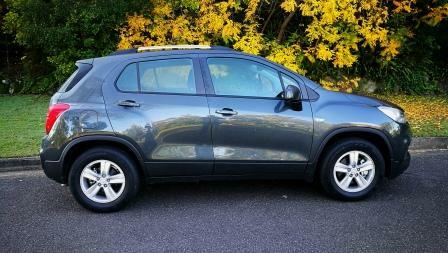 Ride quality is a mixed bag in the front wheel drive only Trax LS with a even and smooth feeling on freshly laid roads morphing into unsure and tentative on broken and rutted surfaces. There was even occasional mild bump steer and an odd sensation of the front MacPherson strut suspension’s settings not balancing the compound crank axle rear. Driving over the mildly broken surfaces of some local roads would have the front gently absorbing the irregularities and the rear would feel less tied down. All in all, just not a balanced mix. Handling was also a mixed bag with a numbness either side of centre of the tiller, a feeling of twitchiness in the communication from the steering wheel, and just hints of understeer from the Continental 205/70/16 rubber when pushed. The brakes were the same odd mix, with nothing but pedal pressure for what felt like an inch before a gentle bite, a too gentle bite at that. In order to get any sense of stopping power a harder shove was required and there was no sense of progression, rather a change from soft to grab hard, a most disconcerting sensation in high traffic. That’s perhaps due to the drum rears, not discs. 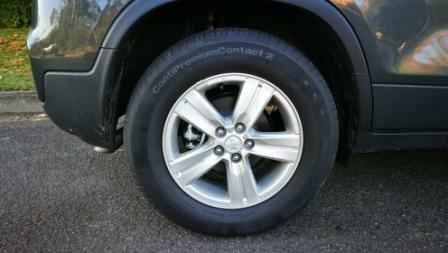 It’s also apparently fitted with HSA, or Hill Start Assist, however even gentle slopes such as those found in undergroup car parks had the car rolling back once the foot was off the brake. The transmission in the LS Turbo is, as mentioned, a six speed auto. It is fitted with a manual override, accessible via a simple toggle switch on the selector. This was invaluable in the climb up Sydney’s Old Bathurst Road, just west of Penrith, at the base of the Blue Mountains. In traffic, rather than the indecisive self selector, by using the manual it would more than happily crawl/walk/run uphill depending on the traffic gaps. It was quicker in changing gears doing this and came in handly also in overtaking. 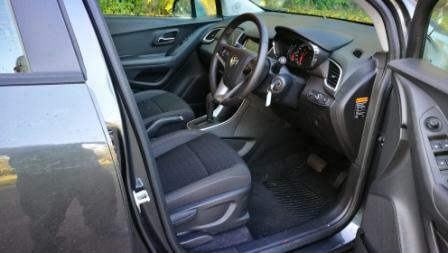 Brownie points, also, for the interior of the Trax. It’s an office come boys club in that it’s a comfortable place to be yet efficient in design and layout. It’s a traditional key in the right hand side of the column, standard GM switchgear, all blended into a smooth, flowing, organically styled dash with the pews comfy and providing plenty of lateral support. There’s the MyLink system on board and housed in a seven inch touchscreen which includes phone projection which is Apple CarPlay and Android Auto, but the LS misses out on DAB as the entry level model in the three model range. 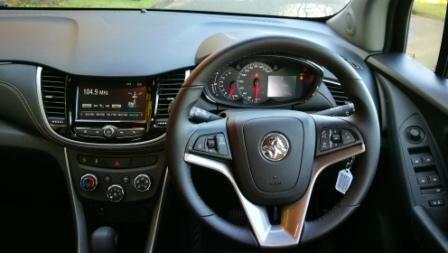 There’s an LCD screen in the dash binnacle which also houses analogue dials, appropriate for an entry level vehicle. There’s also Bluetooth streaming, USB and Auxiliary inputs but the death of the car-based CD player was also on show, with no slot to slip the silver disc in. A point off, though, for the design of the tiller, as the centrepoint is above the horizontal centreline which makes for an uncomfortable 11 and 1 hand position. Storage wise you’re looked after with a tray under the passenger seat, door pockets, good sized cup holders and sunglasses holder. 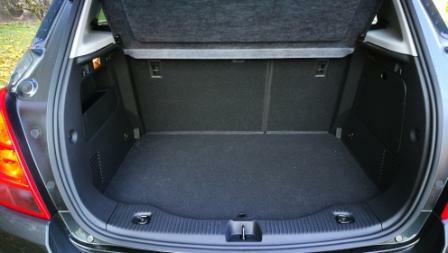 There’s good rear legroom at 908 mm, headroom at 985 mm, and shoulder room is good for two adults at 1340 mm. This is inside a petite 4257 mm overall length yet packing a 2555 mm wheelbase. This means the corners are pushed out into the pumped out guards and sees the otherwise somewhat dumpy looking five door seem a touch larger than what the dimensions suggest. The height has a bit to do with it, being an inch shy of 1700 mm. Otherwise, you’re looking at a redeveloped nose, bringing the Trax into line looks wise with the Colorado and Captiva, with the flattened six sided lower air intake under the single bar upper. There’s LED driving lights but no halogens in the lower quarters. The rear is less made over, with the family resemblance to big sibling Captiva perhaps more slightly enhanced and hides a 356/785 litre cargo capacity accessed by an easy to open and lift tailgate. Naturally there’s a camera for reversing and it provides a crisp and clear picture on the screen. There’s six airbags, the now mandatory safety aids under the skin, pretensioning seatbelts, collapsible pedals, plus Holden’s standard three year or one hundred thousand kilometre warranty. Reverse sensors partner with the aforementioned camera to complete the package. At the time of writing, the first four services will cost you $229 each at intervals of one-year or 15,000km, a fair ask for peace of mind and for budget conscious buyers. 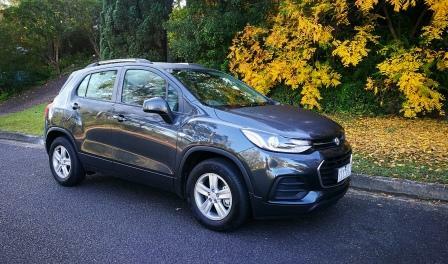 Be the first to comment on "Car Review: 2017 Holden Trax LS"